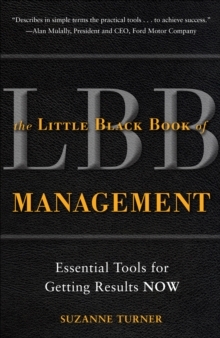 All the essential tools managers could ever need-in one handy guide! 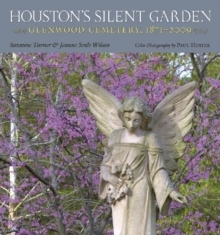 "Describes in simple terms the practical tools . . . to achieve success." -- Alan Mulally, President and CEO, Ford Motor CompanyReal-world tested, real-world proven in organizations ranging in size from global titans like Boeing and Motorola to mom-and-pops and home businesses, The Little Black Book of Management is the ideal handbook for busy executives, managers, and entrepreneurs like you. 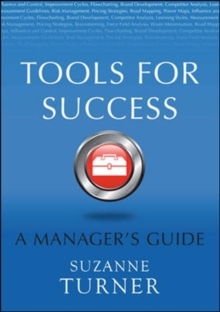 In this unique, practical, and easy-to-use guide, you get nearly 100 potent indispensable tools, organized for ease-of-use, including: * Time management * Brainstorming * Presentations * Process management (Six Sigma, balanced scorecard) * Communication/teambuildingSave time and money by tackling in-house such critical tasks as brand development, marketing mix, breakeven analysis, or even designing a business excellence framework. 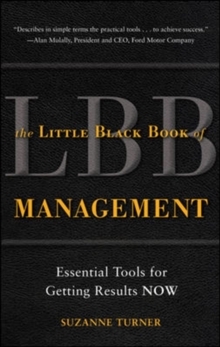 Concise, comprehensive, and organizedfor immediate access to the right tools for the job, The Little Black Book of Management is your one-stop source for all the essential tools managers need to develop the performance of their teams and organizations. Suzanne Turner owns and manages Potenza, Ltd., a management development consulting company, and has also worked with Andersen Consulting. She currently works with a wide range of organizations from global corporations to niche providers.